9151 Howells Ferry Road Semmes, AL. | MLS# 624425 | Assist-2-Sell Buyers and Sellers Realty - Homes for sale in Mobile County and Baldwin County. We work with buyers and sellers. Well maintained (3) bedroom, (2.5) bath brick home on (1.67)acres! 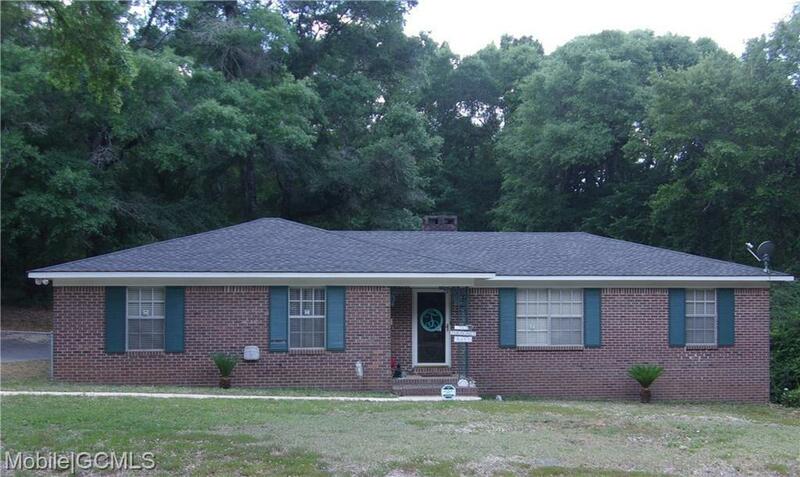 Conveniently located in Semmes, (USDA) eligible area, and move-in ready with over 1800 sqft. This open floor plan showcases a large family room with a wood-burning fireplace, separate dining room, and a spacious kitchen with a breakfast bar. Throughout the home, the FLOORING, BATHROOMS, and KITCHEN COUNTER TOPS have all been updated. The fenced-in backyard has (2) storage sheds and (1) car attached carport. The carport is right off the laundry room and kitchen, making unloading the groceries a breeze. THE ROOF WAS REPLACED IN (2017). All measurements are approximate and not guaranteed buyer and/or buyers agent to verify. Contact your favorite realtor today! Seller will entertain a lease/purchase option with $5000 down, $1150 a month rent for up to 12 months. Directions: From Schillingers Rd, Left On Howells Ferry, Home On The Left.